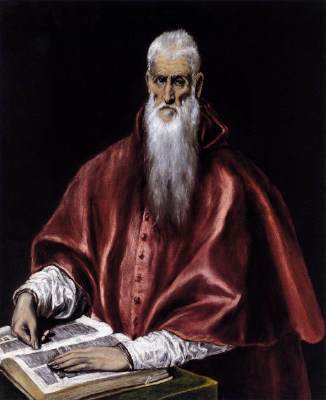 St. Jerome, who gave us the Latin (Vulgate) Bible, led a diverse life and is portrayed in many ways. For a variety of images of Jerome, click for the Web Gallery of Art Search Page. Type ‘jerome’ in the title field and click Search! button. Here is the link to the Web Gallery of Art Search Page: http://www.wga.hu/frames-e.html?/search.html. When I entered “Jerome” in the Title box and clicked search, over 200 art pieces were found, to my delight. Contrast this image with St. Jerome by Leonardo da Vinci. Hear what the Spirit is saying. . . Previous Previous post: Words or music? Music or words? Next Next post: What would Jerome think? St. Jerome, that is.